So Tuesday saw the massive announcement by Microsoft as they revealed the next generation of Xbox, the Xbox One. During the same announcement show we were also treated to some early views of FIFA 14 on the Xbox One. We take FIFA 14 on the Xbox One under the microscope today for you to see what EA SPORTS and Microsoft’s new strategic partnership means for your next gen FIFA gameplay. What we learnt today was that FIFA 14 on Xbox One will be revolutionary and change the way you play using the new EA SPORTS Ignite gaming engine bringing 10 x more animations and living worlds with 3D crowds and animated touch lines. 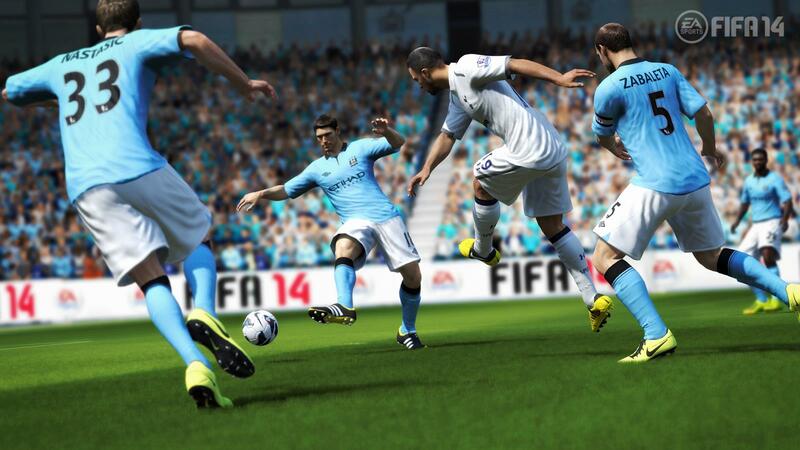 Can’t wait to see some real FIFA 14 gameplay! 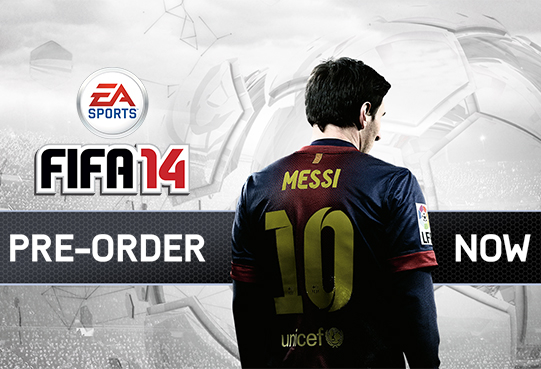 Interesting also that FIFA 14 Ultimate Team Next Gen reveal will be coming soon, but will only be on Xbox One! We take each feature mentioned today under the microscope. Instincts. Awareness. Unpredictability. For the first time, all players on the field, pitch or court are alive from the neck up with Human Intelligence. True Player Motion delivers revolutionary biomechanical physics, authentically recreating the dynamic movement and physicality of actual athletes. Living Worlds usher in an all-new level of immersion and authenticity. Crowds and sidelines are as ever-changing as real-world stadiums. Human Intelligence | With the new processor in the Xbox One the amount of calculations that can be performed in a minute amount of time means the raw power available to power the next gen games should provide amazing levels of AI. Hopefully this will result in very intelligent players able to assess all situations in the game more accurately and more effectively than currently available in current gen games. True Player Motion | Again, the power of the Xbox One should enable player movement and player interactions like we have never seen before. We are really looking forward to seeing the Next Gen version of the Player Impact Engine and seeing those celebrations after scoring an amazing goal in FIFA 14 on the Xbox One. Living Worlds | It sounds like this aims to bring the whole game to life with 10 x more player animations, 3D crowds and animated touch lines. The whole experience should be so much more immersive than the current lightly animated crowds. So all in all the new EA SPORTS Ignite gaming engine should inject massive amounts of new power in to the developers hands to deliver a FIFA gaming experience never witnessed before and will hopefully result in gameplay as if you were in the game yourself. 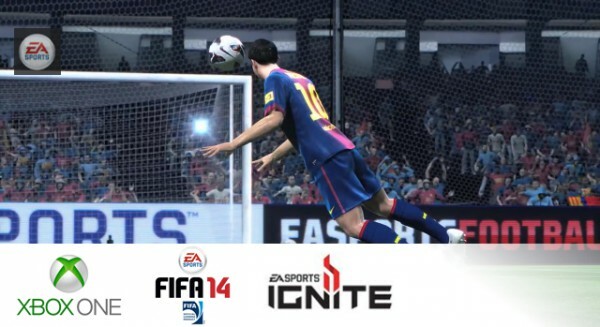 So hopefully at E3 next month we should start to see some real EA SPORTS Ignite driven gameplay and really learn what the next gen of FIFA gaming is going to deliver to us all. Check out the brand new EA SPORTS IGNITE website where you can discover Ignite for yourself. 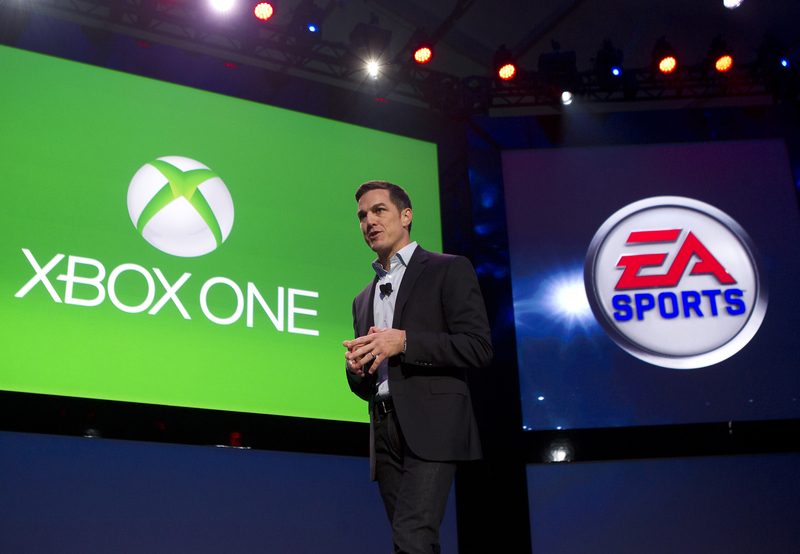 This was quite a surprising announcement as EA SPORTS look to cement their new strategic partnership with Microsoft. FUT content that will only be available on the Xbox One! So what do you think that could be? It will be interesting to see what this is when announced and also to see if the PS4 gets anything to level things out. 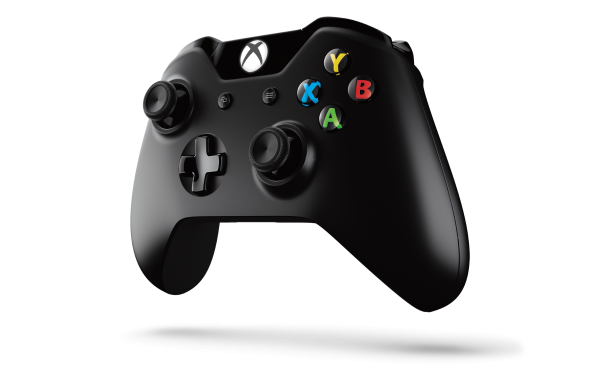 The new Xbox One Controller was also announced today with over 40 new design enhancements from the current controller. As FIFA has progressed so has the control system. It is viewed by many as way too complex now. How many players actually know, understand and use all of FIFA’s current control combinations? Aesthetically nothing has changed too much with the new controller, but hiopefully with the incorporation of the new Kinect and the new Controller, the way we play FIFA in the future will hopefully progress from the way we play it today. I’m still not impressed that one day in the heat of a game I may dive through my telly! So as a new vision for the future comes to life as Microsoft Corp. unveils Xbox One, the all-in-one gaming and entertainment system created for today and the next generation. At Microsoft headquarters in Redmond, Washington DC., the company showcased how Xbox One puts you at the center of all your games, TV, movies, music, sports and Skype. Xbox One is designed to deliver a whole new generation of blockbuster games, television and entertainment in a powerful, all-in-one device as Microsoft’s unique, modern architecture brings simplicity to the living room and, for the first time ever, the ability to instantly switch across your games and entertainment. So what did you think of the FIFA 14 #XboxReveal? TV on Xbox One | Navigate and watch live TV from your cable, telco or satellite set-top box through your Xbox One. Microsoft is committed to bringing live TV through various solutions to all the markets where Xbox One will be available. Home | Turn on your entertainment system with two powerful words, “Xbox On,” and a custom-tailored Home dashboard welcomes you with your favorite games, TV and entertainment. Snap | Do two things at once on the biggest screen in your home. Use Snap to jump into a multiplayer battle while watching your favorite movie, talk with friends on Skype while watching live TV, or track your fantasy team on TV as you watch the big game and more. Skype for Xbox One | Specially designed for Xbox One, talk with friends on your TV in stunning HD, or for the first time ever, hold group Skype calls on your TV. Trending | Stay on top of what is hot on TV by discovering the entertainment that is popular among your friends, and see what is trending within the Xbox community. OneGuide | Find your favorite entertainment easily, searching by network, name or time, all with the sound of your voice and presented in a tailored program guide.